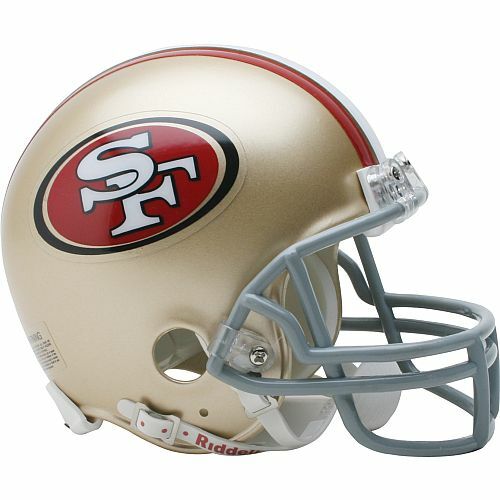 You’re undoubtedly familiar with the NFC Championship game. The Cabernet Shootout Challenge had a better outcome if you’re a Bay Area fan. Both were incredibly exciting. 49ers fans are both saddened and proud. Sad that the season has come to an end but very proud of the brilliant season orchestrated by rookie head coach, Jim Harbaugh. In the NFC Championship, there could only be one winner. Not so at The Cabernet Shootout Challenge. 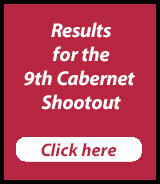 The Cabernet Shootout has numerous winners and you can pick your favorites to enjoy again and again. The Cabernet Shootout Challenge, attended by 335 Cabernet enthusiasts – consumers, press and trade, was a remarkable event hosted by the Bay Area Wine Society in partnership with Affairs of the Vine at The Winery SF on Treasure Island on Saturday, January 21st. One Brick was amazing in making the entire event run smoothly. Winemakers, proprietors, and winery personnel shared their outstanding Cabernet Sauvignons, Cabernet Francs, and Cabernet Blends. Other wines produced by the wineries were also available to taste at their stations. A fantastic array of tasty hors d’oeuvre were served. My personal favorites were the incredible pates from Les Trois Petits Cochons. Make sure to check out the judging panels “Bang for Your Buck Wines” too, wines selling for under $20 that received 85 points or more. There’s a bunch of them! The Cabernet Challenge consisted of just 32 of winning wines from The Cabernet Shootout. 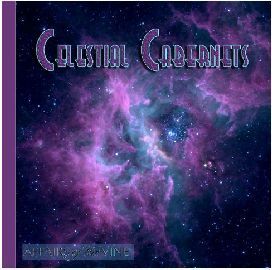 These wines were randomly divided into two flights of 16 wines each (Life Is A Cabernet and Celestial Cabernets). The Cabernet Shootout Challenge attendees were asked to focus on one just of the flights. The wines were divided randomly, wrapped in aluminum foil, and identified with color stickers. 192 of the wine lovers participated in the Cabernet Shootout and cast their votes using chips that were gender specific. Professional wine tasters consider the following: Clarity/Appearance, Color, Aroma/Bouquet, Acidity, Sweetness, Body/Texture, Taste/Flavor, Bitterness, Astringency, Finish, Overall Quality. All that really matters is what you like. The wine lovers made notes and then cast their votes by putting chips in the ballot boxes of their favorite wines. The chips were gender specific. Life Is A Cabernet (Red Ballot Boxes) – The Consumer Judging panel of this flight consisted of 53 women and 46 men, a total of 99 judges. Celestial Cabernets (White Ballot Boxes) – The Consumer Judging panel of this flight consisted of 50 women and 43 men, a total of 93 judges. Our panel is very fortunate indeed to have the opportunity to taste these wonderful wines and we are very cognizant of the fact that our conclusions matter and have impact, so we take our responsibility very seriously. Affairs of the Vine’s Shootouts are the only competition in which the judges’ conclusions are put to the test by an unbiased panel of wine lovers. The comments on the wines at The Cabernet Shootout Challenge were amazing and the discussions engaging but in the end each person voted their own palate. All of the wines were winners, all receiving many, many votes. 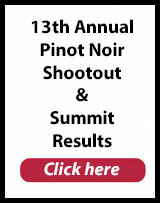 The Cabernet Shootout Challenge attendees agreed with the panel…the wines tasted were fantastic! Four wines tied for 1st place by the Female Cabernet Shootout Judging Panel. We were lucky enough to have three of the four available to taste in the Cabernet Shootout Challenge. Miner Family is sold out of the 2007 The Oracle. Look for these wines at your local fine wine retailer or online. Share them with friends and those you love. They are all well worth seeking out and tasting. Taste and enjoy them all if you’re fortunate enough to have the opportunity. Keep buying your old favorites but try new ones too. When you find a style you like, try other wines that are similar. Do you like this wine as much? See if you can determine the similarities in the wines you like best. Is it appellation? Winemaking style? Winemaker? If you have difficulty finding them at your local retailer, feel free to email Affairs of the Vine. We will be happy to put you in touch with someone at the winery who can help you acquire the wines that entice you. So what do these wines have in common? Everyone one of these wines is outstanding! Read reviews but remember it’s your palate that counts. Try to find a wine critic who commends wines that you like. Don’t feel that you have to like the wines that wine critics praise. Don’t be intimidated! If a movie reviewer gives 5 stars to a film, do you feel that you’re unsophisticated if you don’t like it too? Wine is no different. Personal preference is what counts. So drink and enjoy what you like. At Affairs of the Vine we say, “If you like the way it looks and you like the way it smells and you like the way it tastes…its good wine. 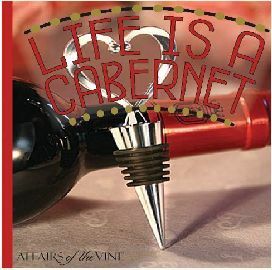 So use our recommendations as a guide but you are the authority of what provides “Love at First Sip” for you.